The refurbishment of an ex-local authority maisonette in Tower Hamlets in East London. 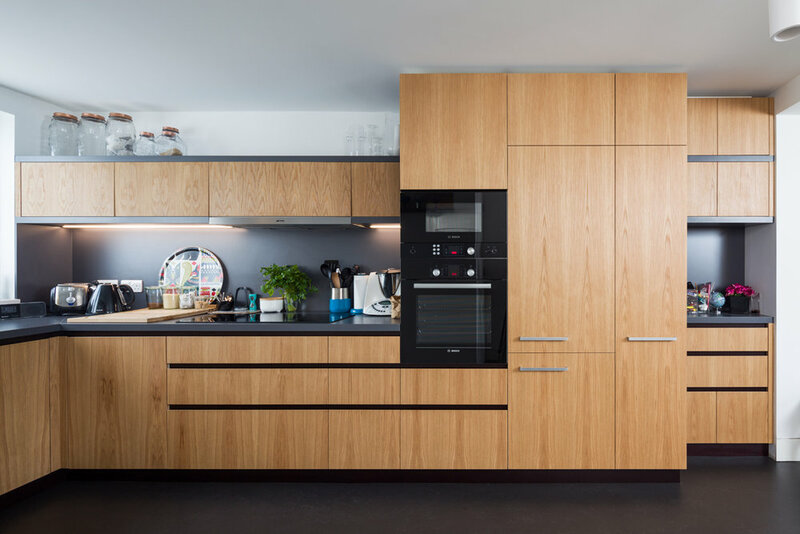 The flat has been fully refurbished to create an open plan kitchen, living room and dining area which connects through to a study with sliding doors. A new staircase frees up more space on the ground floor and also creates a more generous shower room upstairs. Internal windows provide borrowed light, which gives the house a lighter feel and makes spaces feel more connected. Phase one completed in 2015. Phase two will be a rear extension to create more space in the living room and will include landscaping to the rear garden.